A couple of weeks ago, I posted on my Insta Story and asked my followers if they had any suggestions of everyday rings. Growing up, I was never the type to accessorize my outfit, but now I think that accessories definitely MAKE an outfit! 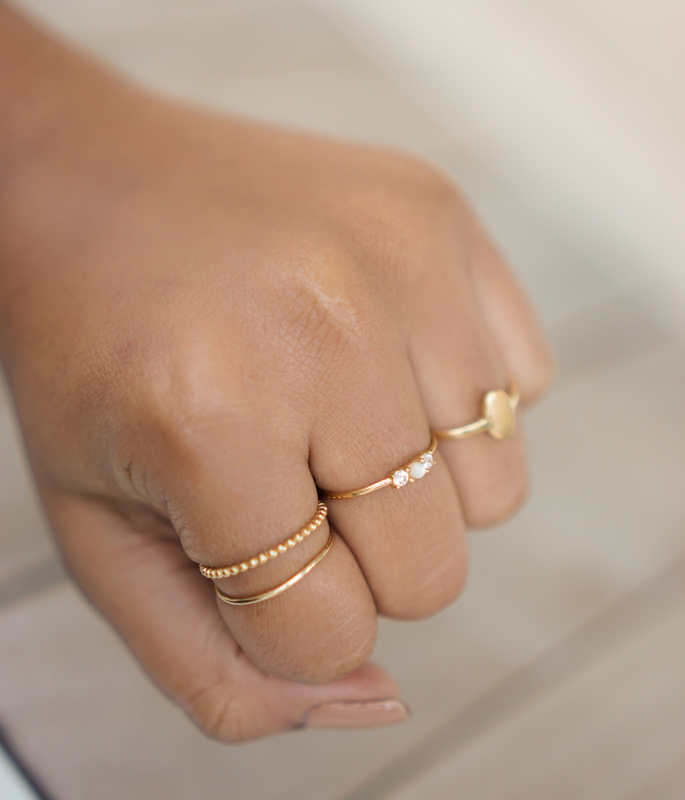 I think by starting off with a few everyday rings you can already look so much more put together, even on a casual day! 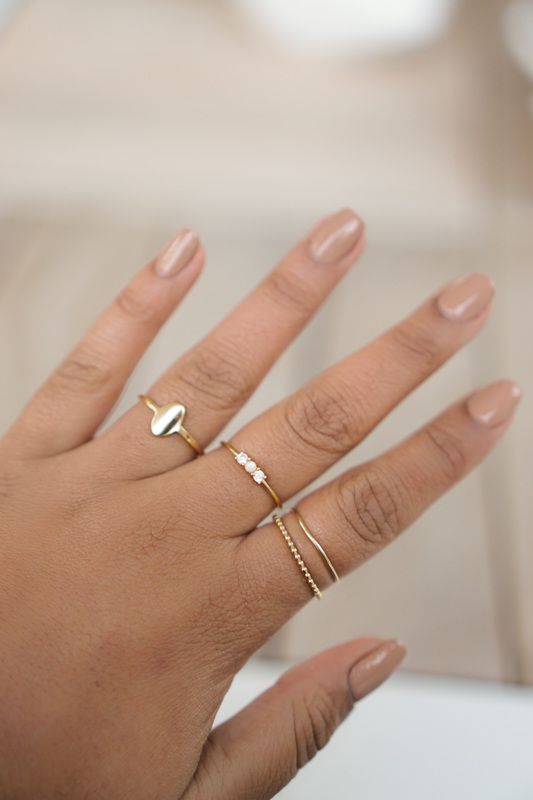 Personally, I have baby hands, but by wearing rings, my fingers look elongated and more mature! I was willing to splurge on a couple of rings and told myself I’d pay $50 max for one ring. I used to be obsessed with James Avery rings– I swear I asked Ryan to get me one for every holiday; birthdays, Christmas, Valentine’s Day, etc.! These are great rings that hold up well, but I was kind of over the designs, plus all of my James Averys were silver and now I more of a gold kind of gal! (FUN FACT: My name, Sonali, means golden!) This time around, I decided to go with some Baublebar rings, linked below. So I ended up spending a little over $100! I bought one stackable ring set and then one ring with jewels on it. 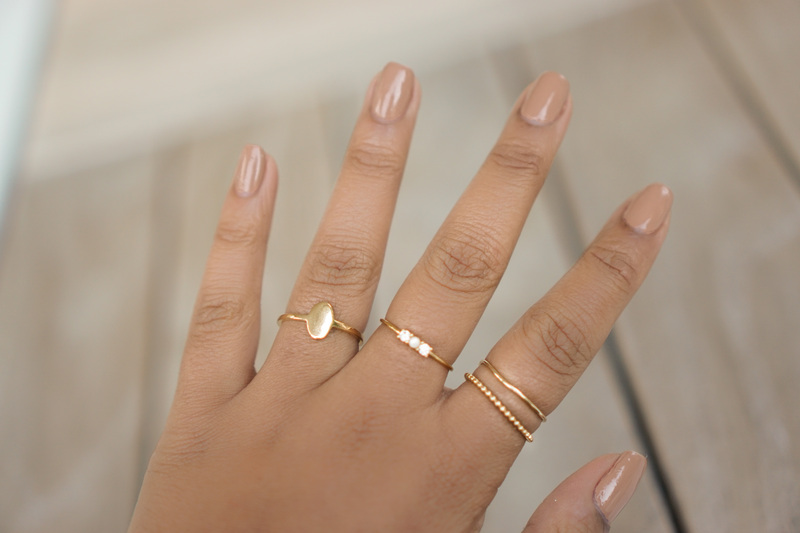 I love the gold color of these rings because it doesn’t look too cheap, but isn’t a rich gold either. I wanted to link below some other rings I like from the sites I mentioned so that you guys could quickly look through some on-trend everyday rings! Previous Post First Impressions | Nars Sheer Glow Foundation, Cover FX Drops, etc.